Recently the Wall Street Journal published an article entitled “The Economy Stole My Retirement”. The subcaption reads “Nest Eggs In Peril For Millions Of Entreprenuers in Their 60s And 70s Who Can’t Sell Their Companies”. With stagnant revenues and declining profits the norm for many small businesses since the financial crisis, the sad fact is that for many business owners there just won’t be a buyer. Even worse far too many business owners who receive a serious offer for their firms will make the fatal mistake of assuming that, if they received one good offer, they will receive more and have the luxury of waiting until sale is more convenient or the price is higher. Many of those owners will regret that decision dearly. After three+ years of economic recovery, we are at a point in the financial cycle that may soon provide many Baby Boomer business owners with the best opportunity they may see for selling their businesses at a good valuation. For good companies in many industries, earnings have in fact recovered significantly. In favored sectors such as aerospace manufacturing and various technology disciplines, buyers are willing to pay multiples for top performers that compare favorably with those of the mid 2000s when large middle market firms routinely saw offers in high single-digit or even double digit multiples of EBITDA. Will Business Owners Hit the Bid in 2012? Over the years one of the best indicators of M&A activity has been what I call the Free Lunch Index. I live in Memphis, normally not a hotbed of middle market M&A activity. That’s why my practice is national in scope. When banks or private equity groups do come to town looking for deals, I often get a call for lunch, breakfast or coffee. Since the crash in 2008 it’s been fairly lonely out here and I pretty much buy my own lunches. Starting this month, however, I’ve seen a marked pickup in calls and lunch invitations. The word appears to be out among both the private equity groups and the financial institutions that now is the time to get back into the market and they’re actually spending money to look for deals. Our experience at Focus indicates that business sale interest has increased strongly since yearend. Apparently we are not alone. Cyprium Partners, a leading mezzanine financing specialist, recently completed a survey of 175 investment-banking firms throughout the U. S. Among their findings, 44% of respondents reported more assignments signed or in the market than at a comparable time in 2010. 56% reported that new business pitches were up and less than 10% of the firms reported lower activity. Bottom line the M&A business is improving and that’s consistent with our belief that the overall economy will surprise to the upside. It’s no secret that the U. S. private equity industry has been in a depression over the past three years. 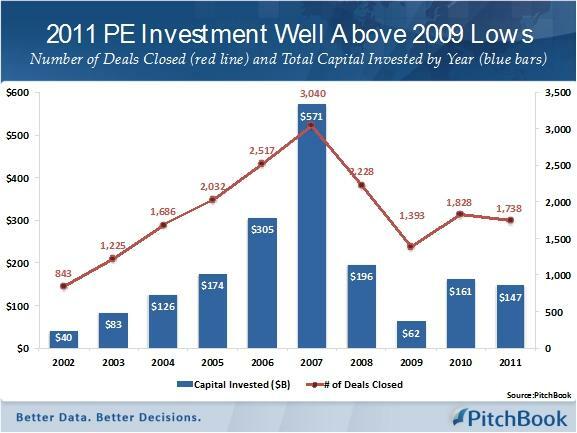 Private equity deal flow showed great promise this time last year, but fell precipitously by the end of 2011. Interestingly, according to Capital IQ, global aggregate annual deal flow in terms of number of transactions has been far more stable while dollar values have fluctuated widely. Permalink | | Comments Off on Will Business Owners Hit the Bid in 2012? Congress and the President appear dead set on creating lasting damage to independent business through ill conceived tax policies. The latest reports show that Congress is planning to solve our health care crisis at the expense of the “rich” with family incomes over $350,000 by imposing a new surtax of as much as 8-9% in addition to other tax increases already in the Obama budget. According to a 2007 Treasury study reported by the Wall St. Journal, fifty percent (50%) of the incomes affected by the new taxes will be generated by the sole proprietorships and Sub-S corporations which are responsible for creating 70+% of the new jobs in the United States. If anything like the proposed new taxes comes to pass, it may be time for business owners to shift some wealth back to their tax planners and to dust off C-Corporations and tax shelters as areas of strong interest. When considering their options, business owners should take into account the negative (double taxation) impact of tying up their wealth in taxable C-Corps. In our M&A practice, we find that structuring private businesses as C corporations is one of the major impediments to successful exit transactions. 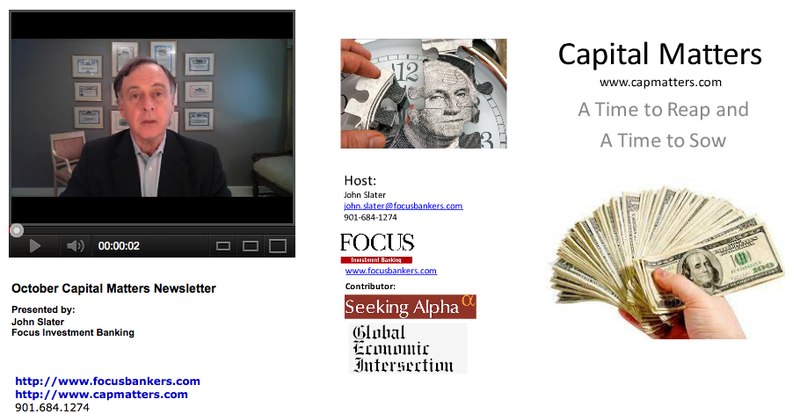 Planned increases in the capital gains taxes are certain to make things even worse. For many business owners the best answer may well be to sell now before these overreaching tax law changes make it infinitely harder to realize fair value from their many years of hard work.